Original Acrylic Painting on quality paper. 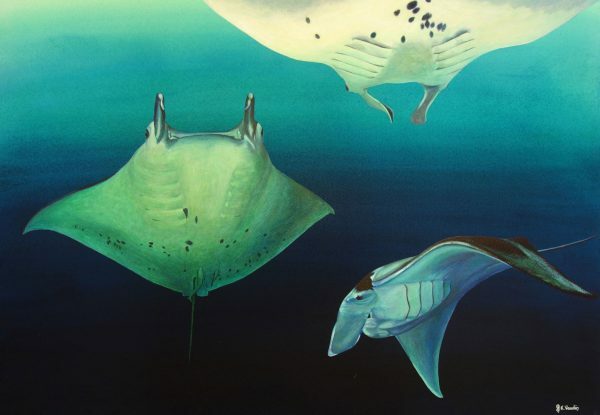 Our original painting of manta rays is based on underwater photos taken whilst diving in Raja Ampat, Indonesia and Yap, Micronesia. We were lucky enough to encounter several mantas at very close quarters. They definitely come in close to check out the divers at their cleaning stations. We are fortunate in that we share our art studio with our framer.